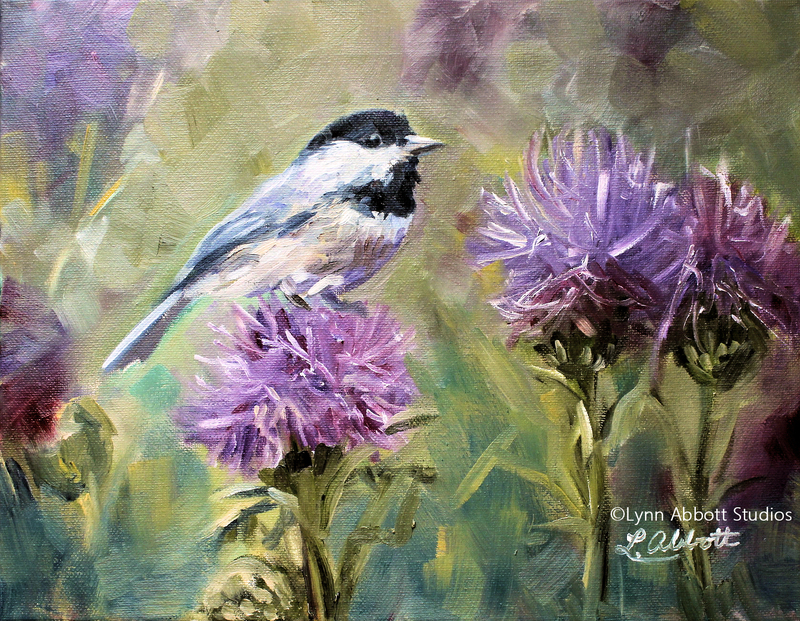 “Sitting Pretty,” © Lynn Abbott Studios. Used with Permission. In the corner of my basement stands a set of beautiful French doors. Of course, sheers prevent anyone from peering into the space behind the doors, and yet, that lovely entrance beckons with its promise of possibility. Or so you might think, at first glance. However, I know what lies beyond those sparkling glass window panes. And it isn’t pretty. Yup. I’m sure you have such a space. A dark corner for all the accumulated junk that you just can’t bear to part with. Stuff you save for that rainy day. My husband and I have a particularly large stash of rainy day items. I regularly promise myself that I will clear things just as my best friend so wisely does each January at her house. And I do manage to sort through some of it. Yet, it still remains an overwhelming mess, a kind of monument to humanity’s general fear of the future and desire to hang onto the past. I first tackled that basement storage room after my mother’s death in 2008. And quite honestly, I thought I’d cleared a great deal. Yet, there was so much that I could not face sorting. Much that I felt I might one need; memories in slips of paper, random post-its, and extra toasters. Yup. I held onto Mom’s old toasters. After all, toasters tend to break. And my parents, children of the Great Depression, had taught me well. Indeed, at the start of this new year, I am especially thankful for the lessons in economy that both my father and mother left me. But no matter how prudent you and I may be or how promising our prospects, life has a way of throwing unexpected obstacles in our way. You see, for me, 2017 marks a significant anniversary of sorts. Ten years ago, my husband and I began a long anticipated and planned journey. We had examined our finances; made provisions and prepared both my mother and son for a major life change. That January brought the launch of a new business some 300 miles away from what had been our home for five years. We had put monies aside for the business; we had saved to cover any moving and initial living expenses in our new community. In addition, we had sought out the best realtors to help us negotiate our move. And while my husband prepared for the grand opening of our new venture, I wrapped up business in the town we would soon call our former home. Part of that business meant working in our final doctor appointment so that when we arrived in our new community, I had time to investigate various medical practices in order to find the best fit for our family. It seemed I had covered every possibility. I had made every plan. I had prudently planned for the obvious eventualities. Late January did not prove to be an ideal month for opening a new restaurant. Despite its four-wheel drive capabilities, my Jeep picked its way through a snow storm on the way to the planned festivities. The cold dampened turn-out. And expenses outran income. To make matters worse, the 2007 housing and bank crisis loomed. I was diagnosed with stage three breast cancer. And no matter what the outcome of treatment, the medical journey itself would require a great deal of money. Uh, huh. In a matter of weeks, all my plans had crumbled. My budget imploded. We had begun our journey with high hopes. But life had derailed our plans. We fought for our very existence. I prayed with an urgency that I’d never before experienced. Perhaps, this is why David’s early life so resonates with me. I think that sometimes we tend to focus on David’s success and forget the years of wilderness wandering he endured. Samuel had anointed David the next king of Israel. In addition, David possessed an enviable position in Saul’s court. Undoubtedly, we love to read of the Shepherd’s triumph over the giant Goliath. But in so doing, we forget what long-term trouble that day brought David. On the army’s return from battle, the people celebrated and sang, “Saul has slain his thousands, and David his tens of thousands,” (1 Samuel 18:7). David’s popularity did not go down well with Saul. Soon, David fled for his life. David’s great expectations seemed to dissolve, and he found himself struggling to survive. From palace living to cave dwelling… David’s circumstances certainly seemed bleak. As he ran from Saul, he begged bread from a priest. And although he escaped Saul, he soon feared the King of Gath. Indeed, King Achish’s servants reported David’s victory over Goliath; the king from whom he once sought political asylum now posed a threat. For this reason, David feigned insanity. It seemed things couldn’t get much worse. But David’s trial had just begun. After ensuring his family’s safety, David soon acquired a number of followers: the disenfranchised, the debtors, the distressed and discontented gathered around David. Undoubtedly, David became a kind of forerunner to the legendary Robin Hood. Yet, he had little to offer. What financial stability could he offer those who threw their lots in with him? He spent years on the run. Saul determined to assassinate David and the king turned on any who might offer David assistance. In fact, despite the fact that David had hidden his plight from Ahimelech, the priest, Ahimelech and his entire family were slaughtered by Saul, ( 1 Samuel 22:18). Saul’s jealousy knew no limits. God’s holy priesthood obviously found no immunity. Given the extraordinary vehemence and power of David’s enemy, I imagine David found few willing to help him. Gathering food in flight likely proved extremely difficult. Day-to-Day, month-to-month and year after year, David learned what it meant to be in need. This, then, serves at the backdrop for what is perhaps one of the most well-known passages in Scripture, David’s Psalm 23. Hunted like a fox by English hounds, David hid in wilderness caves. Food and shelter were scarce. And if the wilderness didn’t kill him, Saul and army followed close on David’s heels. Because of Saul, David could not call any place home; necessity probably required the rationing of any available food and water. And yet, he wrote, “You prepare a table before me in the presence of my enemies. You anoint my head with oil, my cup overflows,” (Psalm 23:5). A desperate state? Yes. Anxiety producing circumstances? You betcha. Yet, David experienced the goodness and grace of God through God’s practical and daily provision. Even when our plans fall apart, even when circumstances look bleak and even when the worst appears to take up residence in our lives, Abba leads us. As I consider the mess in my basement, I am reminded that “stuff” cannot protect me from unexpected storms. True, you and I may put aside provisions and prepare as did Joseph in Egypt. We may even follow the example of the wise woman of Proverbs 31, and work for the good of our households and all those who depend upon us. Perhaps, as you peer into the uncertainty of 2017, like David, you find yourself in a desperate place. . . Betrayed by someone you trusted? Persecuted unjustly by one with power and position? Or maybe, you endure pain, suffering or illness; grieve the loss of loved one; or simply dwell in a lonely emotional place. In David’s Psalms, you and I find comfort: “The Lord is my Shepherd; I shall not be in want. He makes me lie down in green pastures, He leads me beside quiet waters,” (Psalm 23:1-2). Our Savior, in fact, points to a simple yet powerful response to the dreadful and unexpected. No complicated negotiating required. No bartering. No begging necessary. Instead, Jesus said, “Seek first is kingdom and His righteousness, and all these things will be given to you as well,” (Matthew 6:33). And also, “Ask and it will be given to you; seek and you will find; knock and the door will be opened to you,” (Matthew 7:7). After all, our all-powerful and infinitely loving Abba stands waiting. He longs to provide for you and me. Thus, just as David prayed in the Psalms, we may also ask for justice and vindication when we are wronged. In addition, we ask for food, clothing and shelter. And we should not hesitate to ask the Holy Spirit to comfort us in our grief or to send companionship and encouragement on life’s lonely roads. Ask. Jesus said it’s as simple as that. Yes, in God’s eyes, we are worth everything. In fact, He prized us so much that He gave His only Son for us, (John 3:16). Considering this, our finances, grief, loneliness, health, reputation and physical needs certainly seem small potatoes by comparison. Undoubtedly, God is more than able to “meet all your needs according to His glorious riches in Christ Jesus,” (Philippians 4: 19). And what’s more, He is not only able to supply our needs, He is also willing. God has declared that He loves you and me with an everlasting love, (Jeremiah 31:3). Although we may walk through dark days–that valley of the shadow of death–we need not fear evil because Abba walks with us. Indeed, David not only survived the wilderness, but he also returned to a place of abundant blessing. God faithfully fulfills His promises. David, the Shepherd boy and the once, homeless cave-dweller, became Israel’s king. This week, I look back over the years from 2007 to 2017, and I stand amazed. “Grace, grace, God’s grace” has carried this child through deep waters and dark days. Through it all, God restored my life; He also continues to supply our family’s needs. As I sit down to pay bills each month, I actually breathe a prayer of thanksgiving and praise. Uh, huh. God is good, all the time. The Shepherd faithfully tends His flock; Jehovah-Jireh renews our strength (Isaiah 40:31). We can depend on Him. And in doing so, you and I will sing with David, “Surely goodness and love will follow me all the days of my life, and I will dwell in the house of the LORD forever,” (Psalm 23:6).